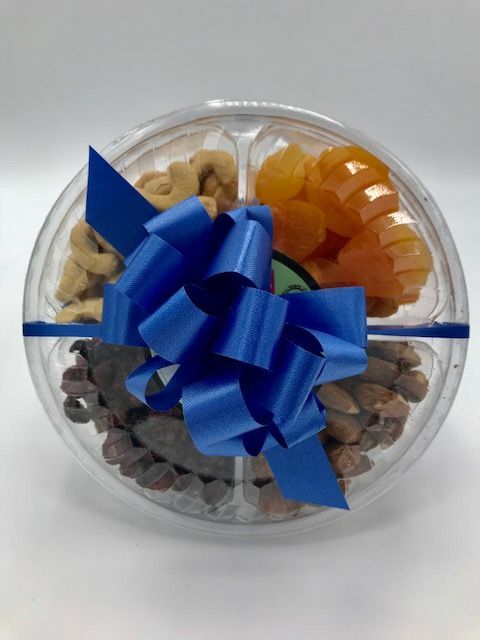 Enjoy our large selection of Kosher for Passover GOURMET CHOCOLATES, FRUITS, NUTS AND CANDIES. Delicious treats and beautiful Judaica Gifts for Passover! Order today! We ship nationwide! 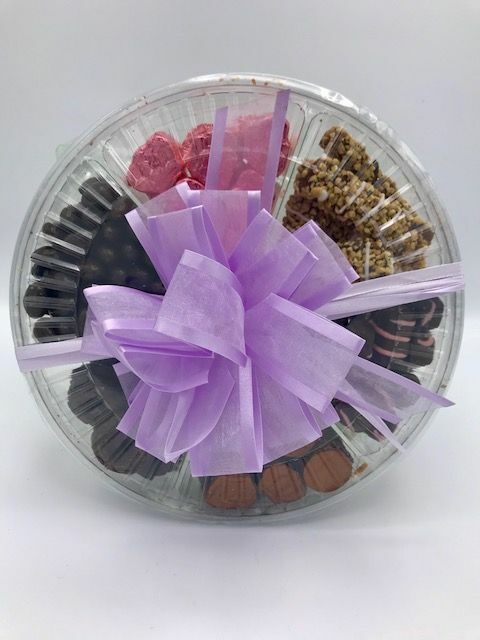 A delicious Passover chocolate platter filled with a variety 4 dark chocolates! Great for the chocolate lover! 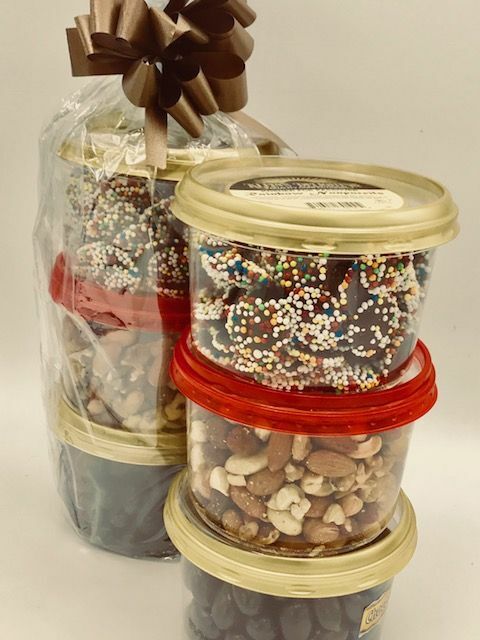 A tower of two dark chocolates plus premium nuts wrapped in beautiful cellophane and topped with a bow. A gift of popular favorites! 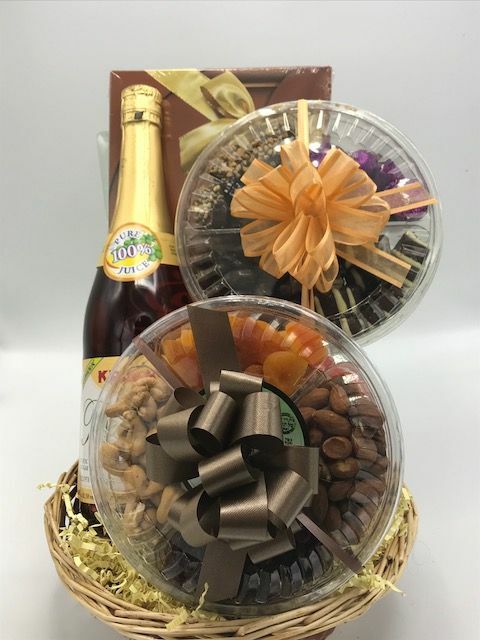 A Classic Passover gift basket containing a platter of fruits and nuts and a platter of decadent dark chocolates, topped with a box of chocolate truffles, and sparkling juice. Great for the Seder! Free shipping! 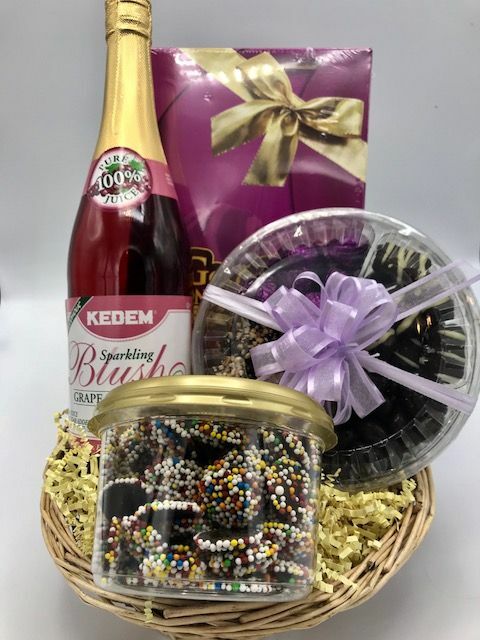 A Chocolate Passover gift basket containing a rich platter of decadent dark chocolates, topped with a box of chocolate truffles, nonpareils and sparkling juice. Great for the Seder! Free shipping! 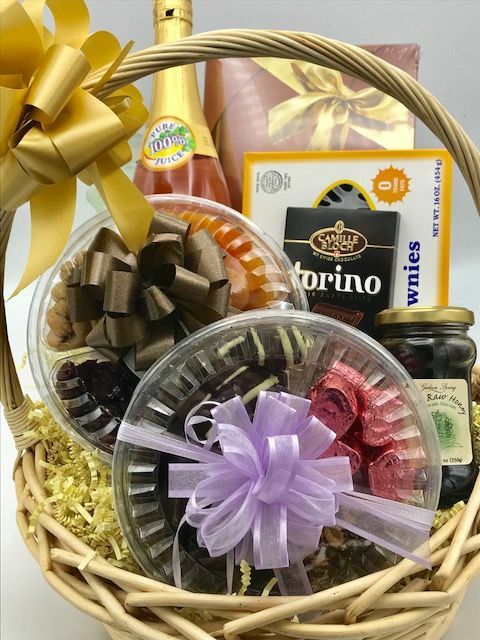 A Classic Passover gift basket containing a platter of fruits and nuts and a platter of decadent dark chocolates, topped with a box of chocolate truffles, sparkling juice, Israeli honey, Chocolate Brownies and a Torino chocolate bar. It's a delicious basket! Cashews, almonds, apricots, cranberries. A great healthy choice! 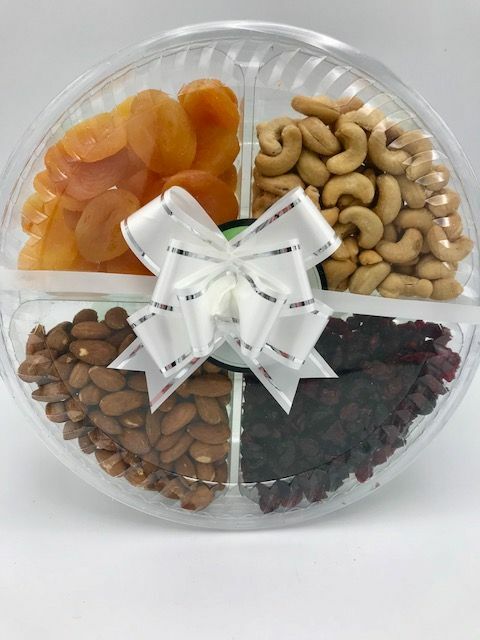 Our large fruit and nut platter filled with cashews, almonds, apricots, cranberries. A great healthy choice for the Passover table! Free Shipping! 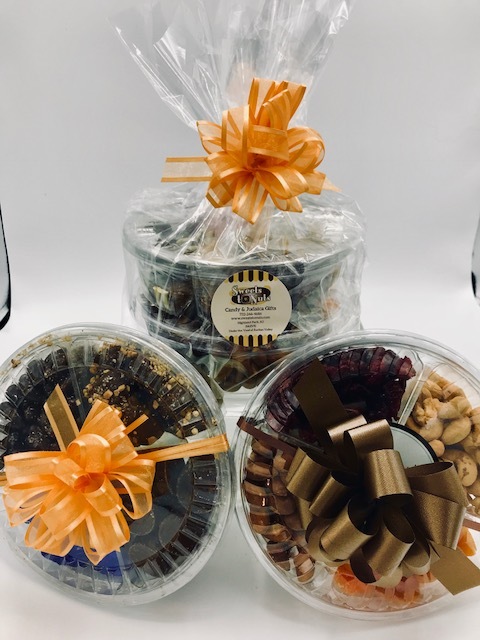 A fabulous combination of 2 platters - a fruit and nut selection and a dark chocolate selection beautifully gift wrapped in cellophane and a bow ( as shown). A popular favorite! Free shipping! 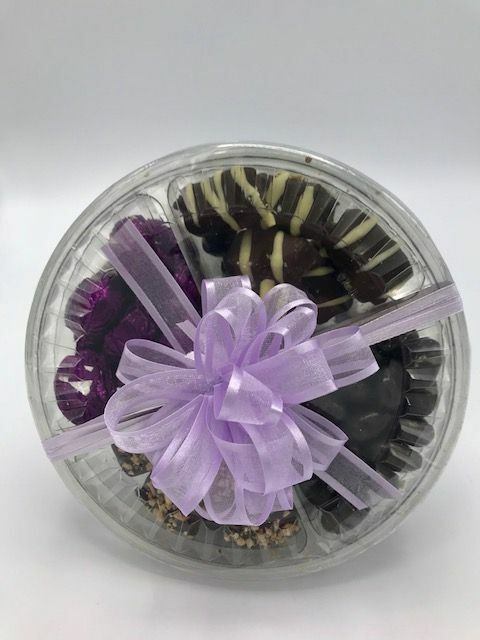 A delicious Passover chocolate platter filled with a variety 6 dark chocolates! Great large platter for the chocolate lover!